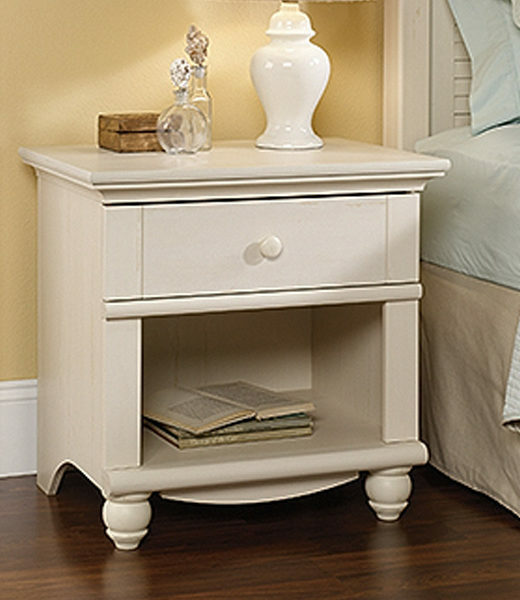 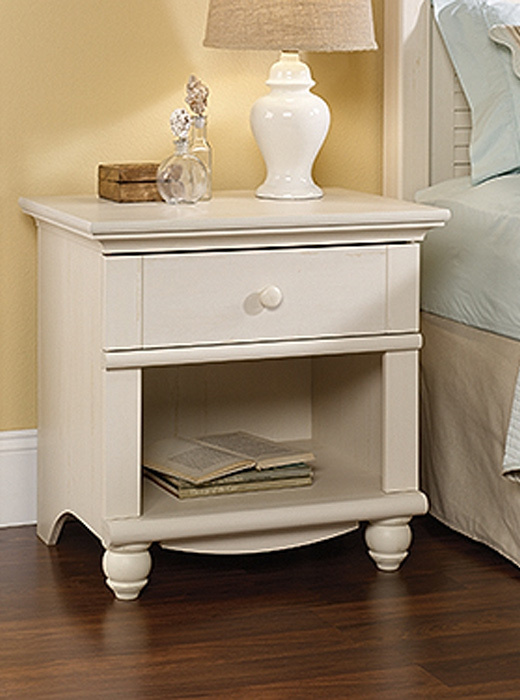 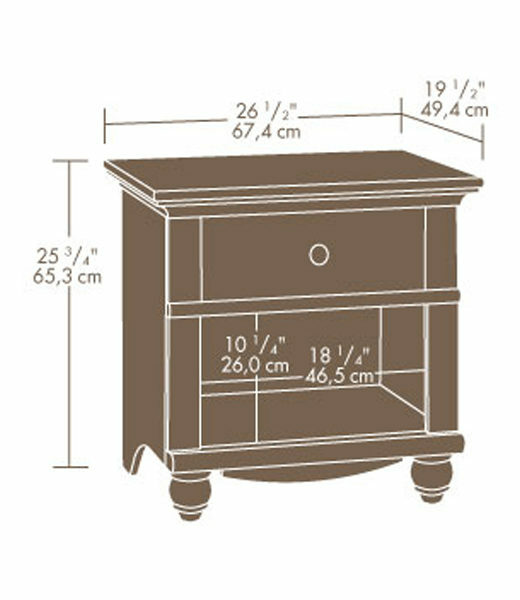 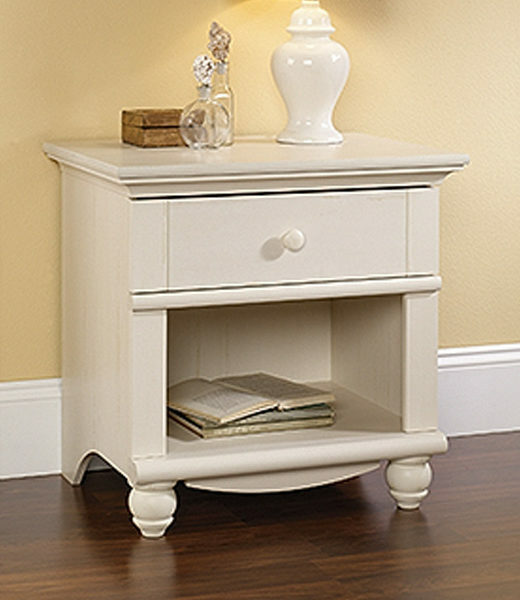 This night stand has a drawer with metal runners and safety stops that features the patented T-slot assembly system. 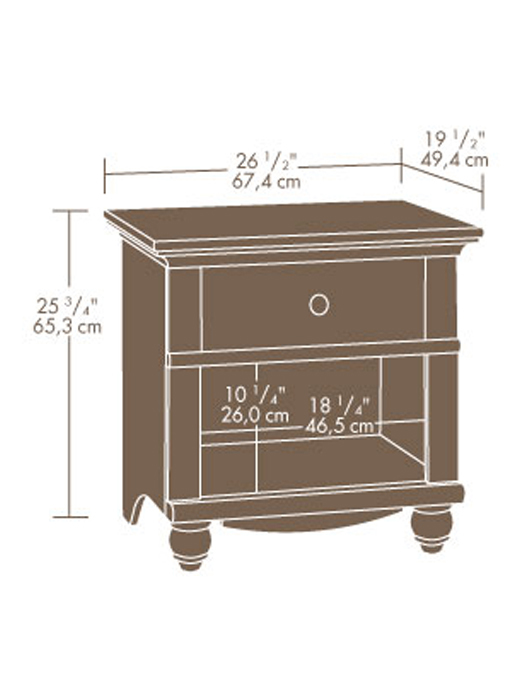 Detailing includes solid wood knob and turned feet. 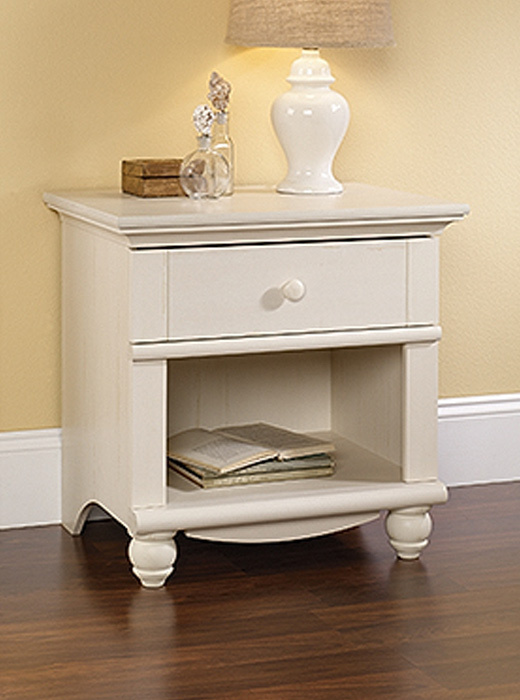 This piece has an antiqued white finish not bright white.